JML (John Mills Limited) is an industry-leading provider of household products with 30 years of experience in the retail business. Headquartered in London, United Kingdom, JML has their products in 7 out of 10 homes in the UK and an international presence in over 70 countries worldwide. JML replaced paper forms with Flowfinity enterprise mobile apps to efficiently perform store visits and gather real-time data in retail stores, gaining actionable insight about retail execution. "Flowfinity directly impacts our team's efficiency, productivity, and the customer service we provide," said Pablo Alvarez, IT Director, JML. "The valuable time we're able to save lets us spend more time with our customers." "By increasing store visits by 30%, we've become more proactive and attentive to our customers' needs on a weekly basis." 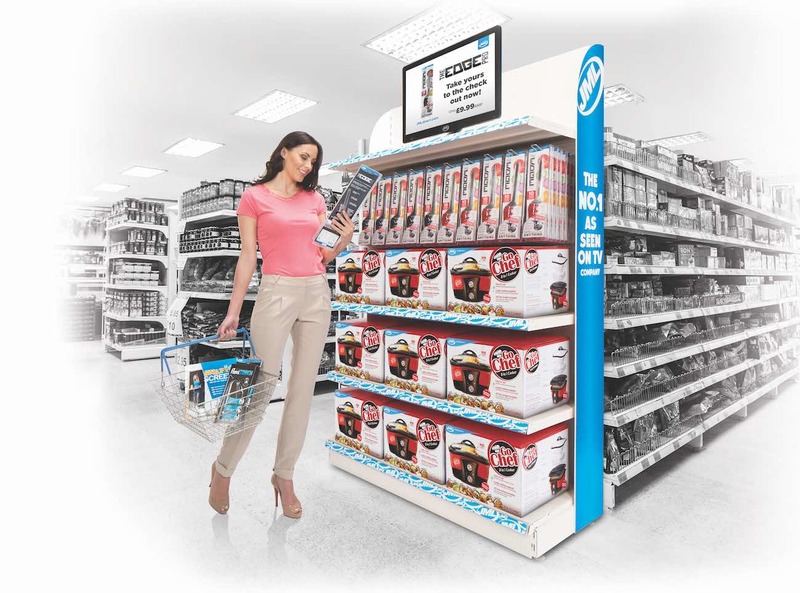 JML performs daily retail store visits at locations with product stands and TV screens displaying infomercials of their products. The field sales teams collect data to monitor which ads are shown, capture stock and display stand information, and track staff journey times between stores. Previously, store visits were being documented on paper forms. It was time-consuming and inefficient having to transcribe handwritten notes into excel, then generate reports from them. "The existing process was too slow and manual," said Alvarez. "It took us 72 hours to produce reports to management, and we absolutely needed to reduce this timing." The long delays for management and client review made it challenging to get proper visibility in the field about retail performance. As a result, critical business decisions took too long to execute and customer engagement was low. Flowfinity was selected by JML to help automate their business processes and boost productivity with the use of mobile devices. By using mobile apps built with Flowfinity software, field sales teams are improving the efficiency of in-store data collection and activity tracking throughout the day. Field sales teams are now able to speed up store visits by gathering all required information on tablets. Details about the stock, stands, infomercials being played, and screen statuses are sent back to the office in real-time. Photos are also captured directly into mobile forms, and offline capabilities allow for app use in stores with limited internet coverage. "Flowfinity helps us optimize our business processes and capture all the information we need in the field," said Alvarez. "The solution enables us to build apps and mobile forms quickly, and is flexible, stable, and extremely easy to use, even for non-technical people." With less paperwork and more automation, JML has reduced the time required to produce reports for management by 7 hours per office employee. The ability to immediately create reports with data sorted by desired date, location or store visits allows reports to be delivered to management in 6 hours instead of 3 days. This enables management to quickly gain actionable business insight, and make informed decisions in a timely manner. "With Flowfinity, we didn't have to develop everything from scratch... The development and ongoing maintenance of Flowfinity is very straightforward." Client engagement has also improved. Each field sales team member now saves 3 hours per day, enabling them to visit more retail locations. Store visits have increased by 30% overall, with major stores being visited 2x more per week. Field sales teams are regularly keeping in touch with customers to establish good rapport and foresee any issues that may arise. "By increasing store visits by 30%, we've become more proactive and attentive to our customers' needs on a weekly basis," said Alvarez. "Our customers are incredibly happy about this." JML's field sales teams are on the front lines in stores with customers, and their productivity is important to driving sales. With Flowfinity, teams in the field can record times when they are performing store visits, driving between locations, and taking meal breaks, down to the very minute. At the end of the day, JML achieves a well-documented trail of field sales activity to measure employee productivity in a consistent way. Flowfinity is a flexible, code-free software that allows JML to build mobile apps easily and quickly. Additional features and forms can be added when needed, and updated apps are published immediately to every user, across every platform. "With Flowfinity, we didn't have to develop everything from scratch," said Alvarez. "It is easy to create the mobile forms, insert the fields, include an image, nested fields…etc. The development and ongoing maintenance of Flowfinity is very straightforward." JML is planning to expand use of Flowfinity by integrating the software with the company's future enterprise resource planning (ERP) system. This will help with stock control and provide users a better perspective about orders and forecasts. They're also excited to explore Flowfinity's upcoming dashboard capabilities for KPI visualization and monitoring. "This is really great news for us," said Alvarez. "Dashboard reporting will save us even more time, and make it easier to deliver retail performance results to management." "Whenever questions come up, the responses we receive from Flowfinity are always fast, accurate, and even fixed on the following release." Flowfinity enables JML to improve efficiency, management insight, and service to its customers by automating retail store visits with a powerful, mobile-first solution. "Since the beginning, the support from Flowfinity has always been great," said Alvarez. "Whenever questions come up, the responses we receive from Flowfinity are always fast, accurate, and even fixed on the following release. They are simply wonderful." Flowfinity helps us optimize our business processes and capture all the information we need in the field. The solution enables us to build apps and mobile forms quickly, and is flexible, stable, and extremely easy to use, even for non-technical people.